I had the good fortune to do some great rides in 2015. 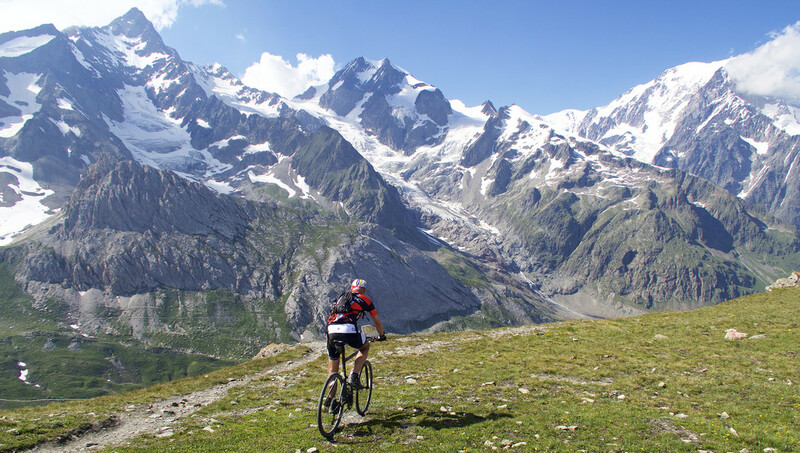 As in 2014, I continued leaning towards more high Alps mountain biking than road biking. But this list has some of both. I particularly enjoyed several super high, old, Italian military roads. There is something special about being completely alone in a beautiful environment without the need to worry about cars. La Strada dell’Assietta is a high mountain military road in the Piemonte Alps built in the late 1800’s linking various military emplacements. The middle 60 kilometres of my route are virtually always far above 2000 metres. 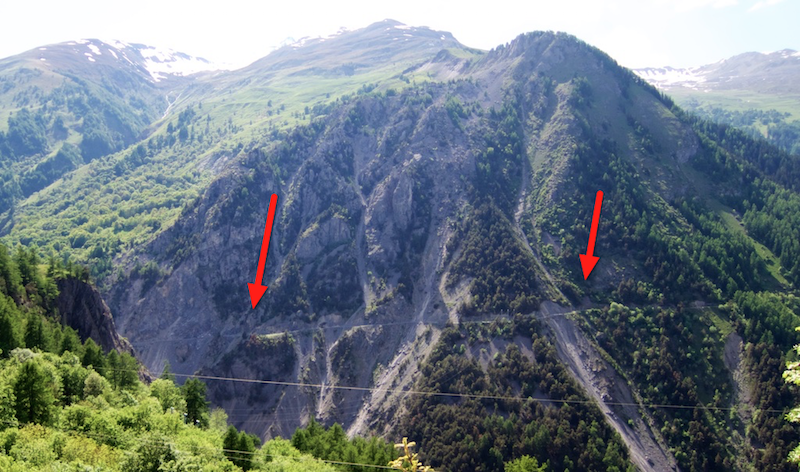 My route also included the slightly crazier, higher Strada Militare Colle delle Finestre (above Colle delle Finestre). All-in-all, something like 11 Cols, with the famous Finestre being the lowest! Ride details here (map, photos, route description, etc). 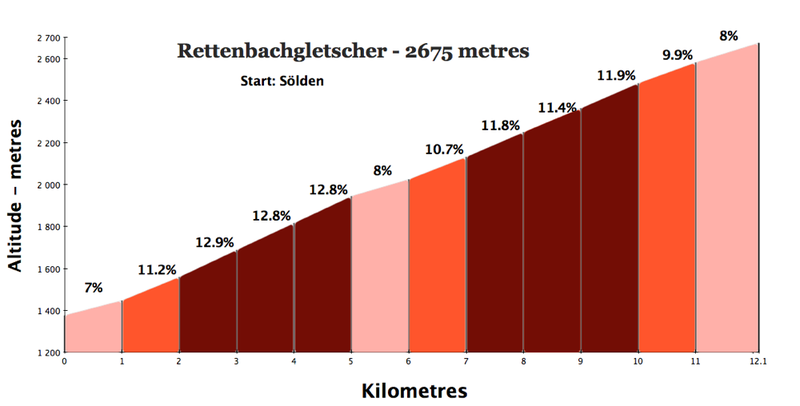 I managed to get above 3000 metres three times in 2015. The climb up Mont Chaberton to the highest Fort in the Alps (perched at the summit @ 3131 metres) was probably the top “silly adventure” of the year. Full disclosure: I had to hike and push the bike for long stretches. But the experience of reaching the fort was worth the sweat. 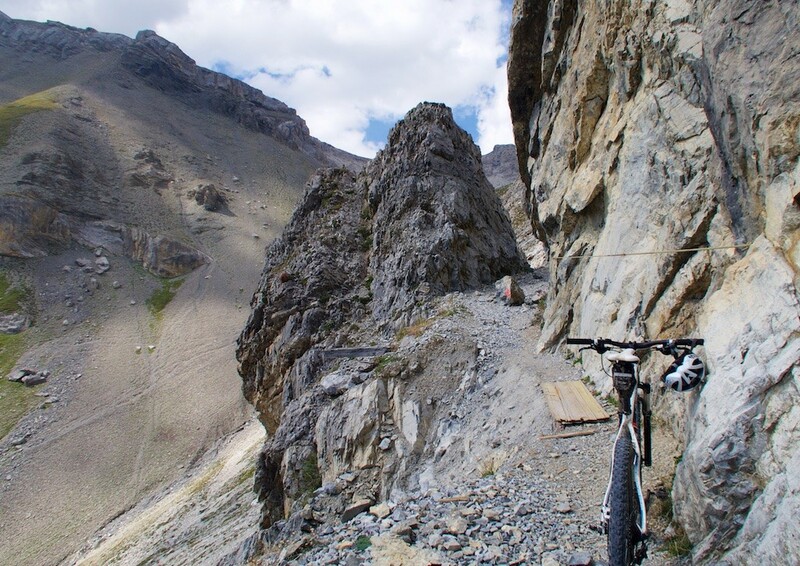 Not Easy – above 3000 metres! 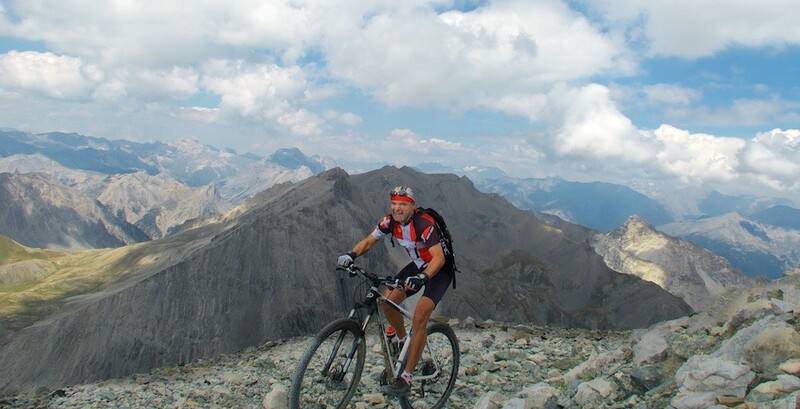 Here are details of 10 of the highest unpaved roads in the Alps, including Col du Jandri (3158 metres) that I climbed for the 1st time in 2015. I finally made it to Austria. 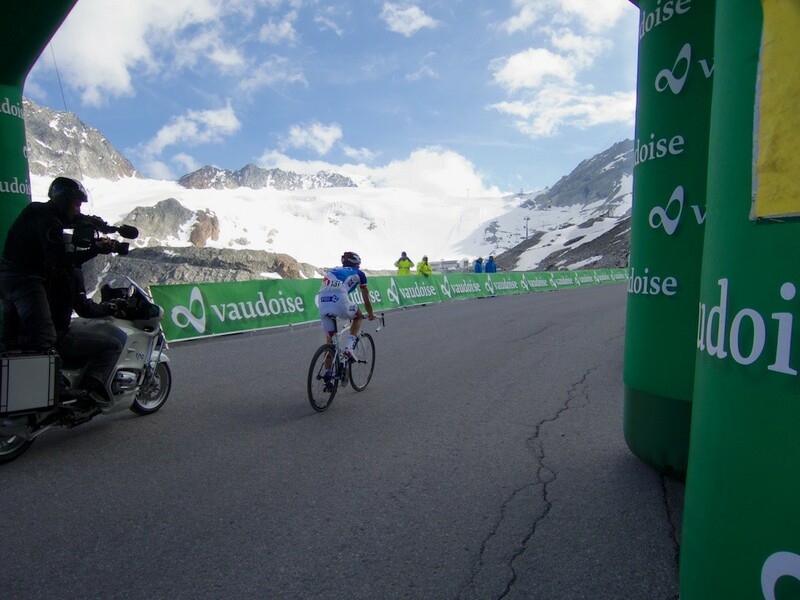 The Tour de Suisse runs amateur cyclosportives before some of their stages, allowing amateurs to ride the route and then wait for the pros. I signed up for this well run event, climbing the unbelievably steep road that ends at the foot of a glacier at 2675 metres. An amazing place. Ride details here. At 2800 metres, Forte Jafferau, high above Bardonecchia, Italy, is the 2nd highest fort in the Alps. It’s also very fun to cycle. There is a little known alternative route up the north side of Galibier that excludes Col du Télégraphe, going instead via Col d’Albanne. 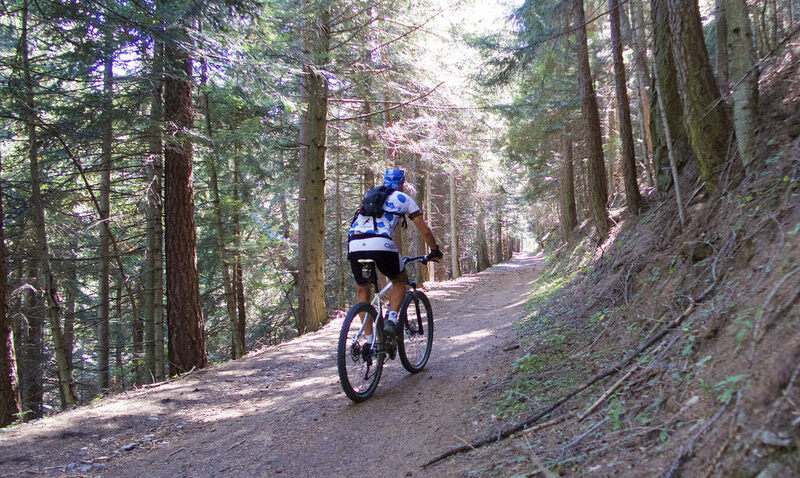 The first part of my adventure was climbing the challenging Albanne and traversing to Valloire via a slightly crazy cliff road. Galibier itself was officially closed above the tunnel, but I almost made it before running into an avalanche with the sign in sight. So I had to go through the tunnel and climb the south side to reach the Col. All on a beautiful, quiet, sunny day in May. Ride details here. 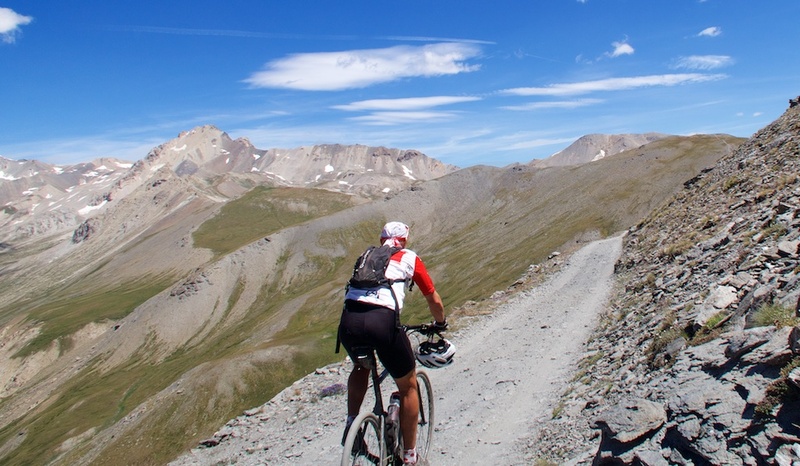 And here is a complete look at all three of the more traditional routes up Galibier. 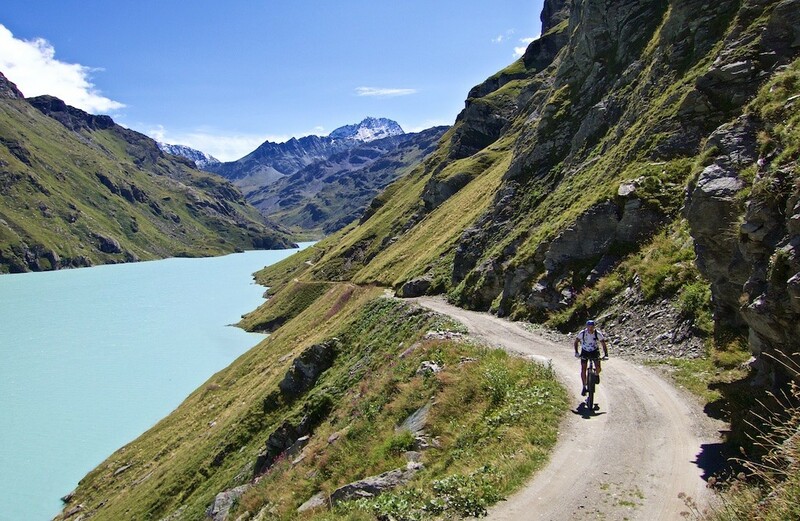 I am a huge fan of the many car-free, bike-only days held in the Alps. I thoroughly enjoyed the opportunity to leisurely cycle both sides of the highest paved mountain pass in Europe with my wife. 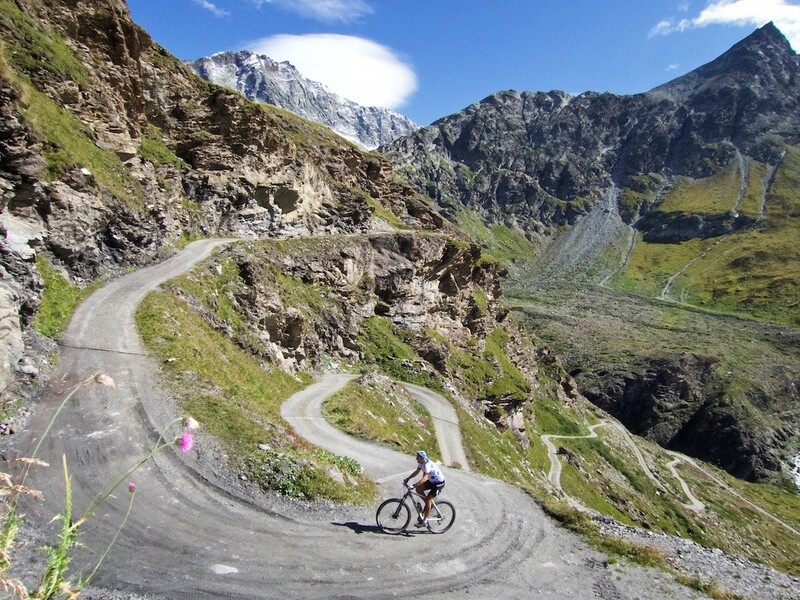 Col du Glandon has some of the sexiest hairpins in cycling. It’s also an amazing place to watch a Tour stage. 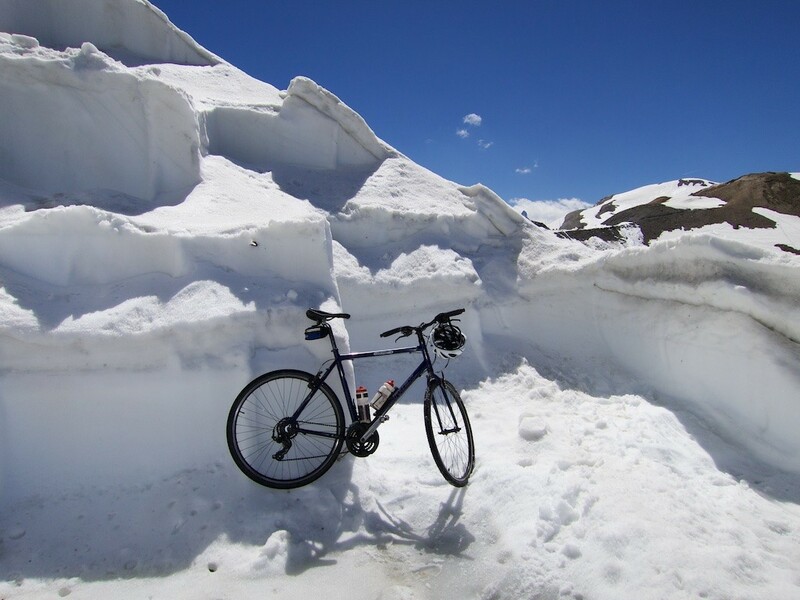 While cycling up an old friend texted me that he and his wife were at the summit and guessed I might be around. A nice surprise. He bought me a beer as I arrived up top and we had a great day enjoying the stage and the festivities. Details of the day here. I love climbs to Alpine dams. Always beautiful. And Lac de Mauvoisin is no exception. The climb to the dam is paved and challenging. 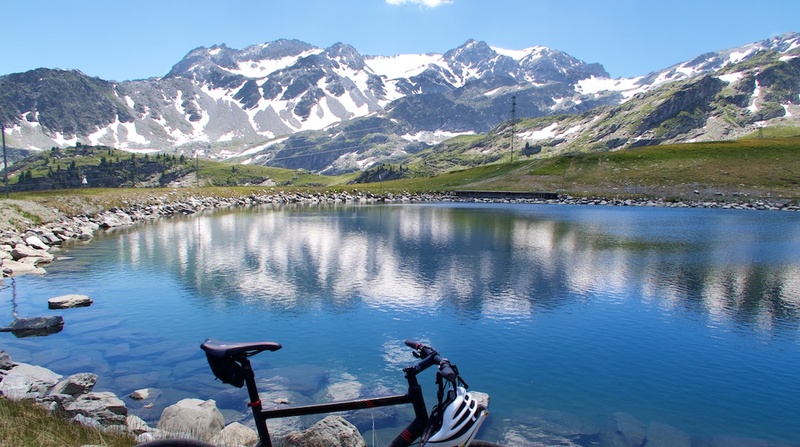 But it’s worth leaving the road bike at home here as it’s possible with a mountain bike to ride along the length of the lake and then go much higher. Paradise. Ride details here. And here is a post listing 28 great climbs to high Alpine dams/Lakes. 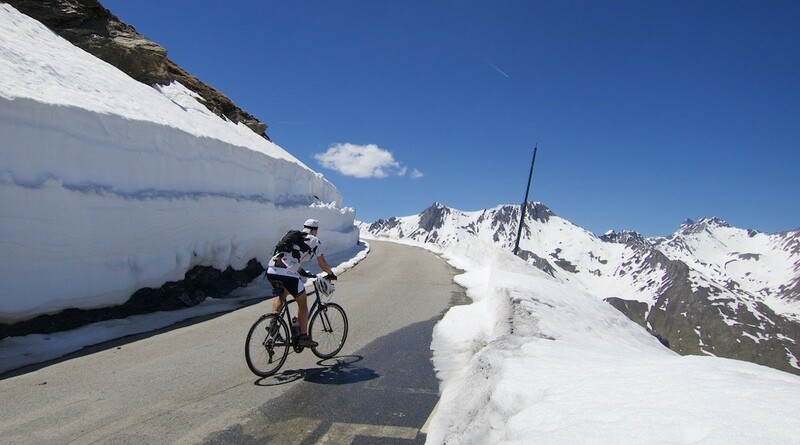 This ride on the Italian side of Petit St. Bernard first explores some super high cols at the top of the ski slopes of La Thuile. Then while tired and descending I explored a side valley. The route was so good that I just couldn’t turn back – although tired and out of water. The road seemed to never end, finally reaching the stunning Col des Chavannes at 2592 metres and views of the Italian side of the Mont Blanc Massif. Woohoo. I split the blog post into two rides. The ski slope Cols here, and Col des Chavannes here. In recent years, I’ve done more cross-country skiing than cycling in the winter. It’s such a great work-out and I am lucky to be near many nice stations. 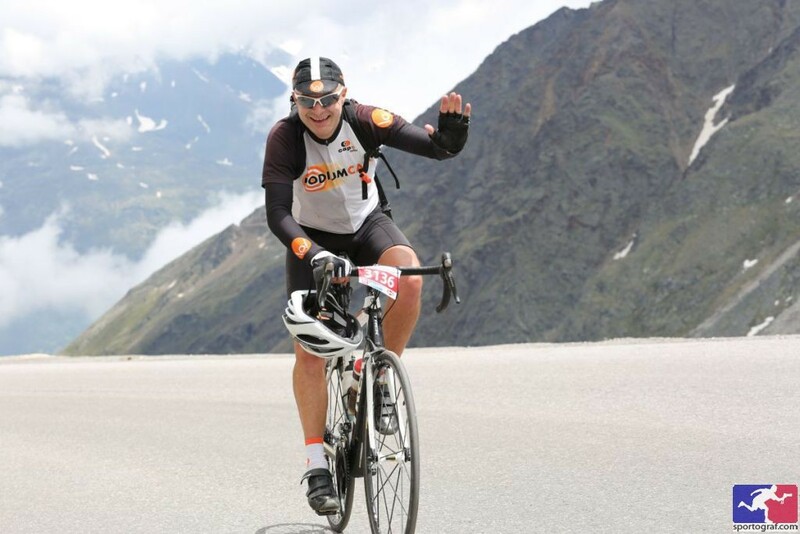 It occurred to me that I could mix the sports and twice in 2015, early in the year, I cycled up famous climbs and then rented cross-country skis at the summit. The famous Samoëns side of Joux-Plane is occasionally cleared in winter to allow XC skiing and a small hut at the Col sign rents skis. On a sunny day, it’s as good as it gets. 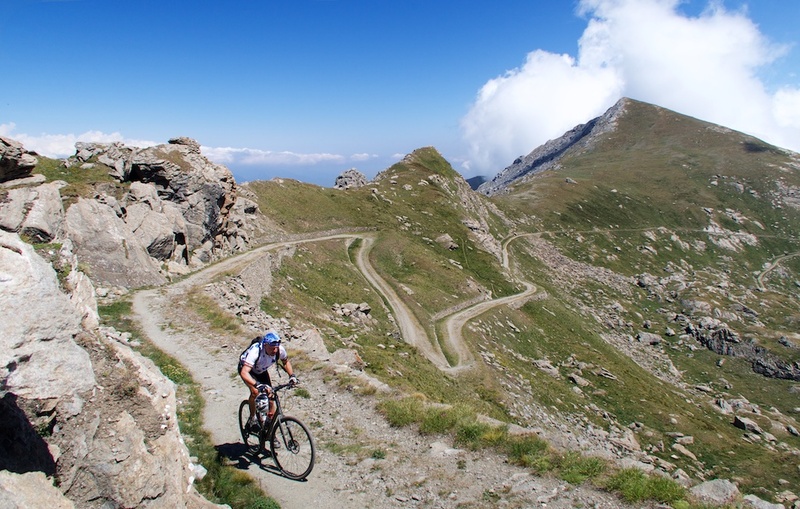 I also biked-up and XC skied at Le Semnoz, the highest paved climb near Annecy. 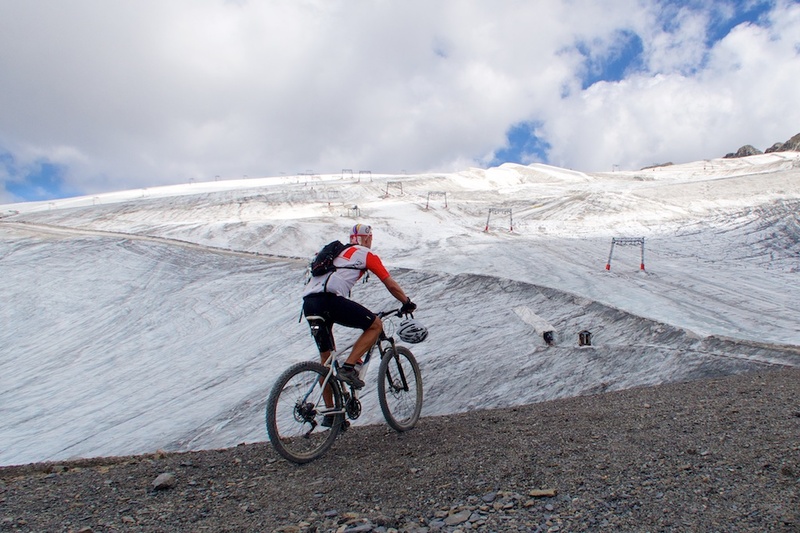 Finally, here is a post with 14 great cycling climbs that have cross-country skiing at the summit. I had the good fortune to do some great rides in 2015. I probably forgot some deserving entries, but above is a list of very good memories for me. Happy New Year and happy pedalling in 2016. Wishing you and yours a very happy and successful 2016, Will. I’m looking forward to following the adventures.